Part of the recent re-releases from Terratag in the classic 250 series, I decided to take a look at my original release version of the Big G t-shirt. 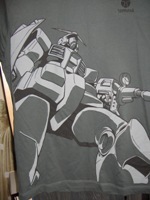 Featuring a Gundam viewed from the feet upwards, a towering effect is achieved giving the image a massive presence. Featuring a Gundam on a t-shirt would be cool enough, but by portraying the mech in propagandist style -the use of grey suggests Russian industry and the size power - the effect is striking. 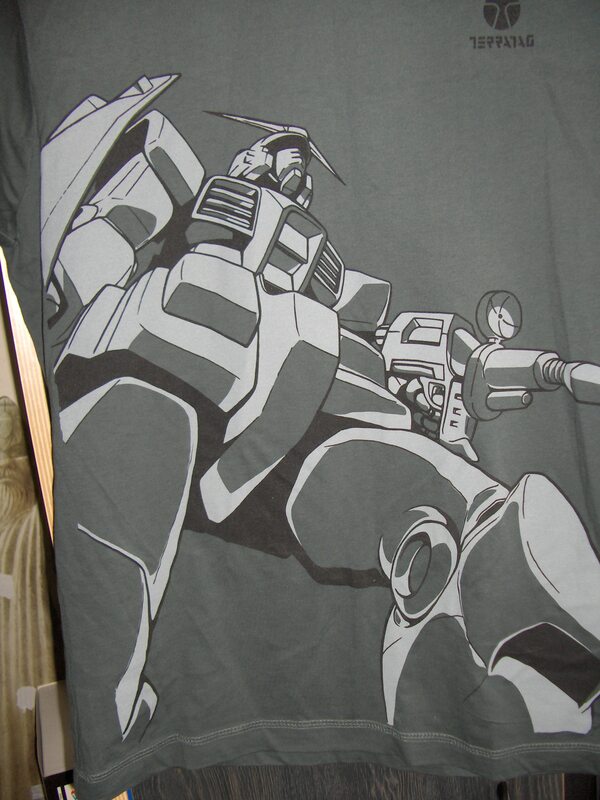 The use of shading on the Gundam also blends brilliantly with the background colour, so it is obvious that care has gone into this design - not just a thick piece of plastic stuck on cotton. 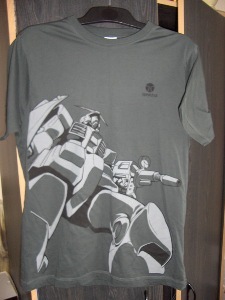 The small Terratag logo is perfectly as the Gundam appears to be looking at it as a source of power. As a Russian soldier would look to a star in old communist images, this mech is prepared to fight for it's comrades. Undeniably cool, the Big G t-shirt is one of Terratag's best and it's re-release is welcome and shows that it has not been affected by age. The new re-release is in pastel green for the summer and looks just as cool and loses none of it's power. If you only have to own one Terratag t-shirt, make it this one.